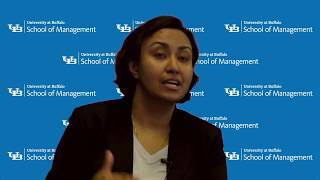 BUFFALO, N.Y. — Researchers in the University at Buffalo School of Management have developed a new algorithm that cloud computing service providers can use to establish pricing and allocate resources. Smith collaborated on the study with Chunming Qiao, PhD, SUNY Distinguished Professor and chair of the University at Buffalo Department of Computer Science and Engineering; Ram Ramesh, PhD, professor of management science and systems in the UB School of Management; and Shuai Yuan, PhD candidate in the UB School of Management. The study was funded by a grant from the National Science Foundation.